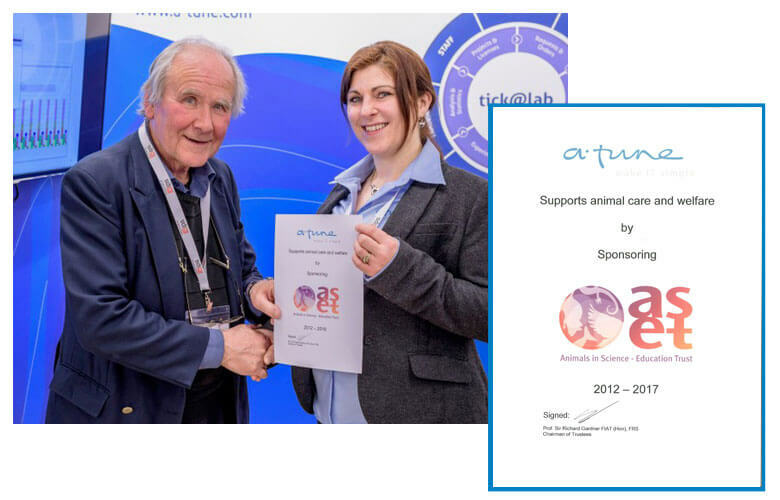 Since 2012 a-tune has been supporting the Animals in Science – Education Trust (AS-ET). The AS-ET is a charity registered under the UK Charities Act 1993. We are very pleased to be associated with this charity, who’s aim is to advance education and promote excellence in the care and welfare of animals used in science. As a leading partner for all research driven organizations, our aim is to support people working with animals with an opportunity to receive the best education and qualifications possible. By supporting organizations such as AS-ET we can fulfil this aim.